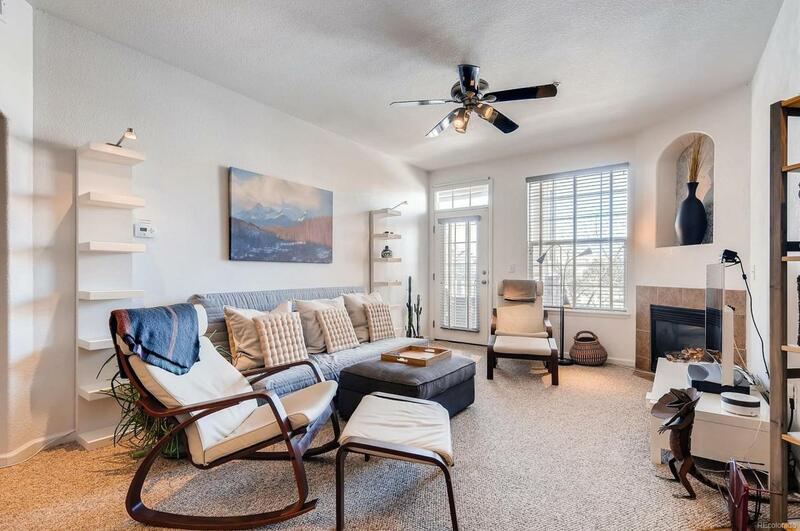 This darling condo has a spacious balcony that faces the mountains. New carpet and AC in 2017. New flooring at the kitchen and baths as well as a new refrigerator and window coverings complete with room-darkening shades at the master bedroom. Solid surface countertops are a great update as well. This condo has been well maintained and loved and ready for you to call home. Custom paint accent walls add a little extra fun to the space. 2 unassigned parking spaces per unit. Parking inside gate is for residents only. Set up your time to view this great property before it's gone!